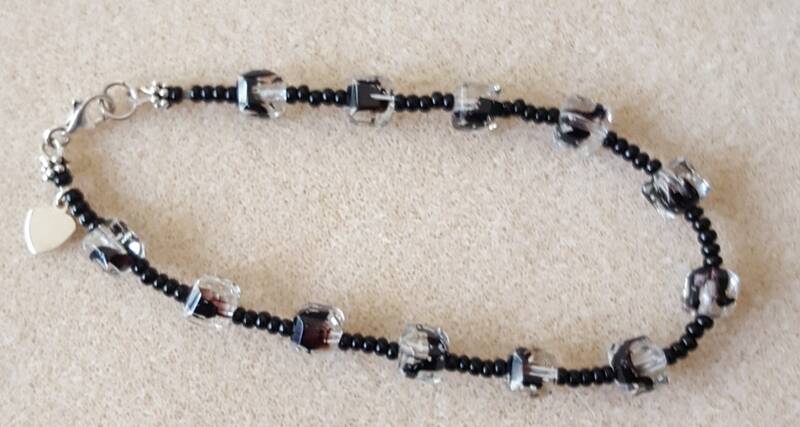 9 1/4" anklet with black seed beads and black and clear square cubes. Accented with Bali silver. Sterling Silver tiny heart and lobster clasp.